Labour conditions and mass layoffs in the game industry have made the news for years. But despite outcries, precious little has changed in that time — in fact, things seem to be getting worse. 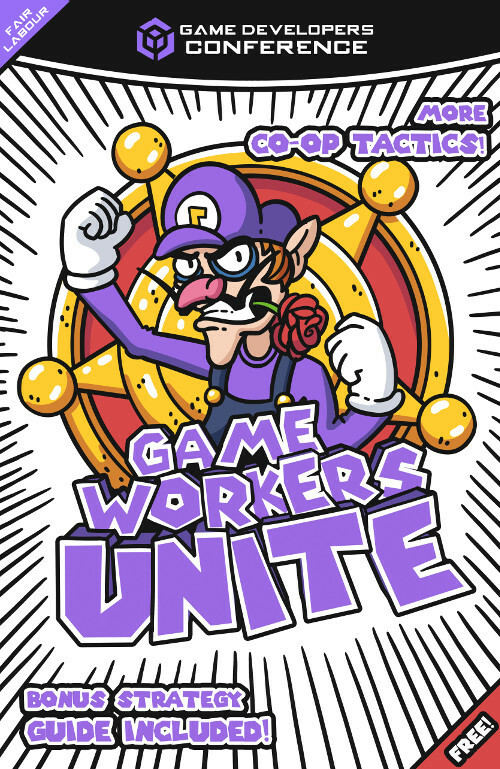 A year ago, we took matters into our own hands and started Game Workers Unite (GWU) to collectively fight for better conditions. Are you tired of crunch? Are you struggling to pay bills? Do you lack basic benefits like health care insurance or paid sick and parental leave? Are you made to endure harassment at work? Do you suspect you're paid less than your coworkers because of your race or gender? 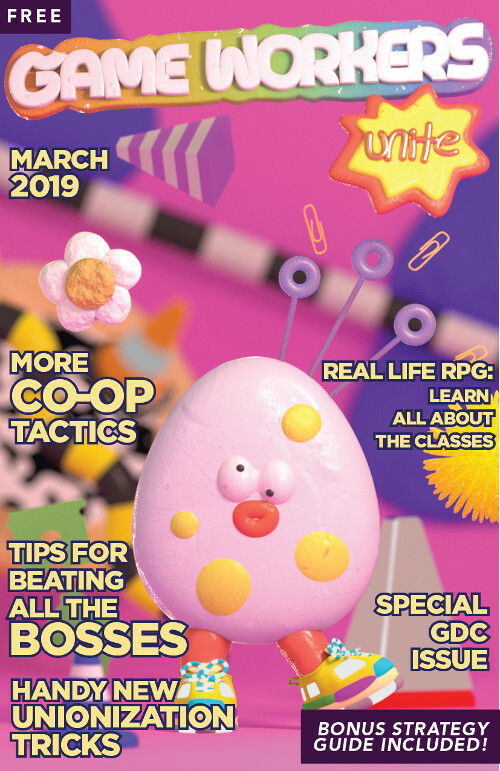 As game workers, we recognize that these widespread issues will persist as long as we have to depend on management to address them. 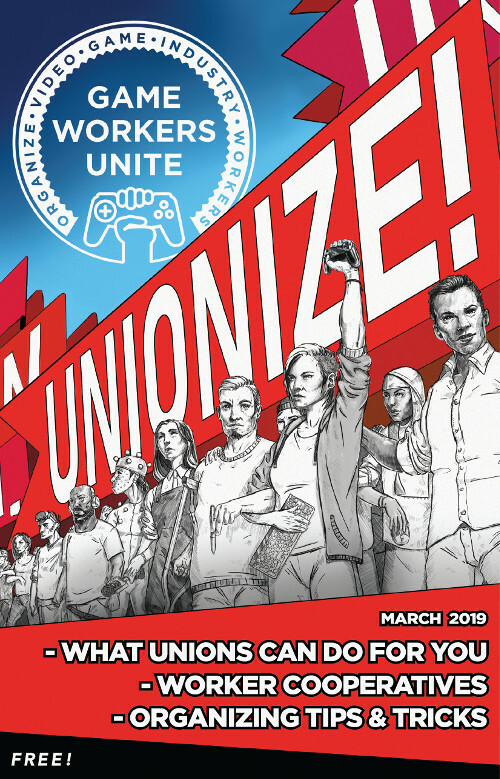 It is only through workers of the game industry organizing on our own terms and in order to defend our collective interest as workers that any progress will be possible. GWU is comprised exclusively of workers — no bosses! — and has chapters across the globe. 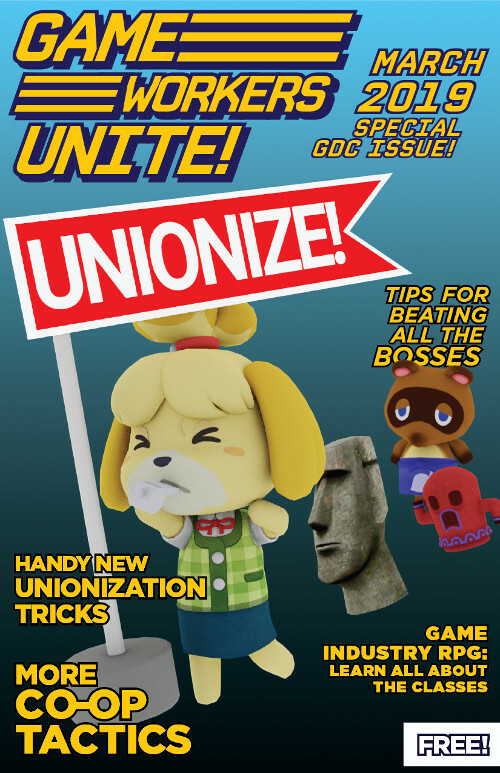 We are building a movement of pro-union solidarity and helping game workers organize for better conditions at their workplace wherever they may be. The game industry is making record profits, yet very little of that is flowing into the hands of the people who actually create the games. Together, we have the power to change this. Choose from the four cover variants! Print and share with your coworkers and friends!